When you’re ready to invest in dentures, it’s important to work with a denturist who has solutions that fit your unique needs and lifestyle. With more than 30 years of experience, the Denture Design Studio in College Place, Washington, and also serving Walla Walla, specializes in dentures and is dedicated to providing the highest-quality options available. Learn more about full, partial, and implant-retained custom dentures by calling Denture Design Studio today. Dentures are a removable oral appliance that replaces missing teeth with prosthetics. There’s a wide range of dentures to choose from. Full dentures replace all of your upper or lower teeth. This type of denture stays in place by resting on your gums. Partial dentures replace a few missing teeth. This prosthetic is held in place by neighboring teeth or crowns. Implant-supported teeth replace all of your upper teeth or lower teeth. They are secured in place by metal implants anchored into your jaw. Denture Design Studio also offers custom dentures, which provide an even more natural look and comfortable feel. Denture Design Studio makes all of its dentures in-house. To ensure optimal appearance and fit, your dentures are designed and created in a close partnership with you and the Denture Design Studio team. The process begins with a model made of your mouth from an impression. 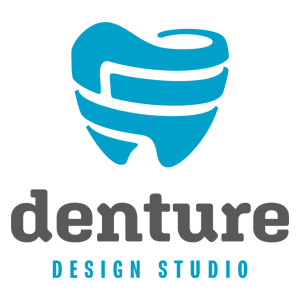 Denture Design Studio uses various types of resin or porcelain to make the teeth that go in their dentures; this provides the most natural look and feel. The teeth are then anchored into a supportive structure that resembles your gums. Each type of denture has a different design to keep it securely in place. As you get accustomed to your new dentures, you might need adjustments to get a comfortable fit. In addition to on-site denture fabrication, Denture Design Studio also offers same-day denture repairs. Dentures usually last 5-10 years, but their lifespan depends on how well you take care of them. Your dentures should be stored in water or denture cleaning solution when you’re not wearing them. It’s also important to clean them daily with a soft toothbrush and gentle cleaner. Be sure to rinse them regularly to remove plaque.